Reach is a for-purpose organisation for young people. Each year, 30,000 young people aged 10-18 experience Reach through our workshops that are 100% youth-led – designed and delivered by our young crew. To encourage young people, no matter what their circumstances, to believe they can achieve. This April, 10% of proceeds from our Pinks and Blues will go towards the fantastic workshops run by The Reach Foundation. 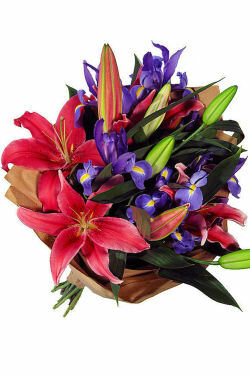 Send a vibrant bunch of pink oriental lilies and bold blue iris and support young people in our community. 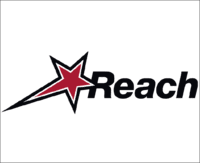 Reach creates a space for teenagers where everyone, no matter who they are or what their circumstances, can explore their lives and connect with other people they can relate to. Because of the physical and psychological changes taking place, teenagers can be susceptible to a host of different issues – like mental health problems, stress, school and study challenges, and relationship difficulties. Reach have found that teenagers need a place where they can go to talk honestly about what's going on – about their fears and their dreams – without being judged and with people who understand.